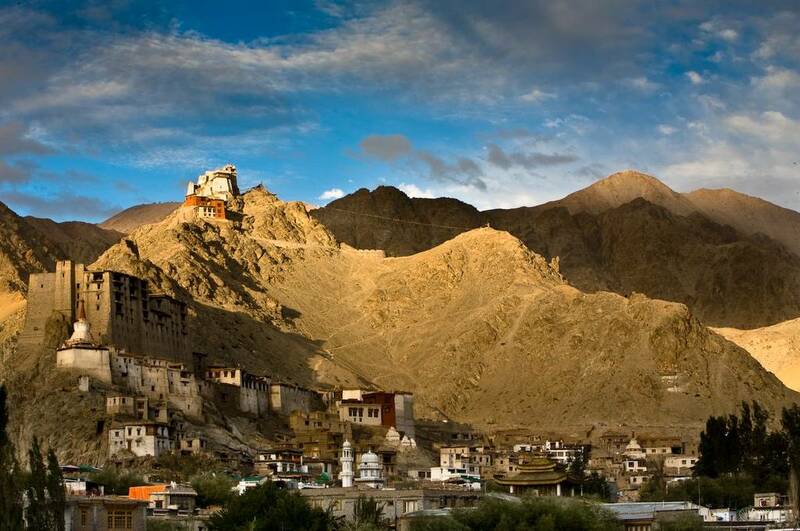 Leh is the town in leh district, situated in Jammu and Kashmir and it is the largest town of Ladakh, which is the region of Jammu and Kashmir. 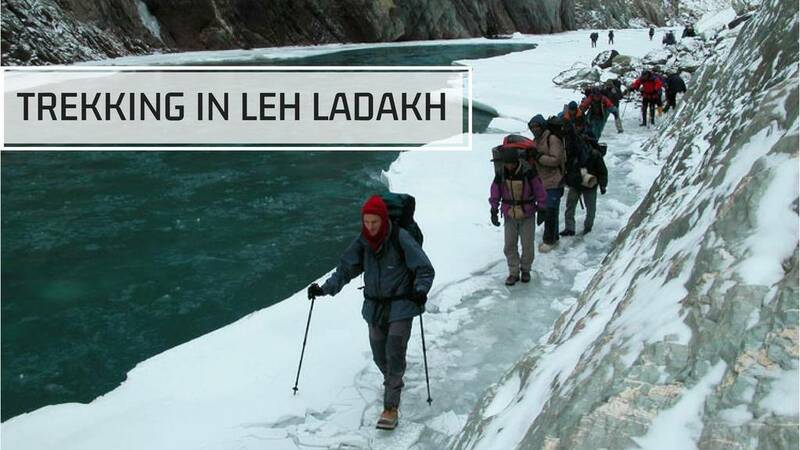 Leh-Ladakh is the cold deserted place of India because the temperature is very low here. every year, most of the people who visit Ladakh are tourists. 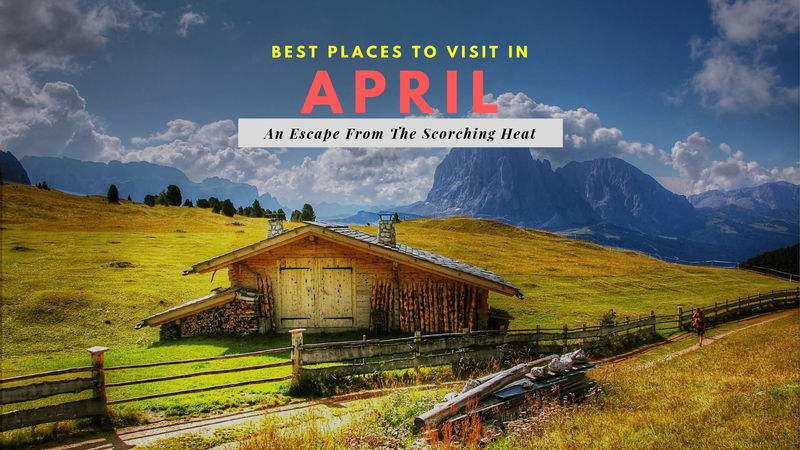 It is one of the best places to see in the northern region. The beauty of the Himalayas, the weather, culture, monasteries, adventure sports, lifestyles etc is very interesting. 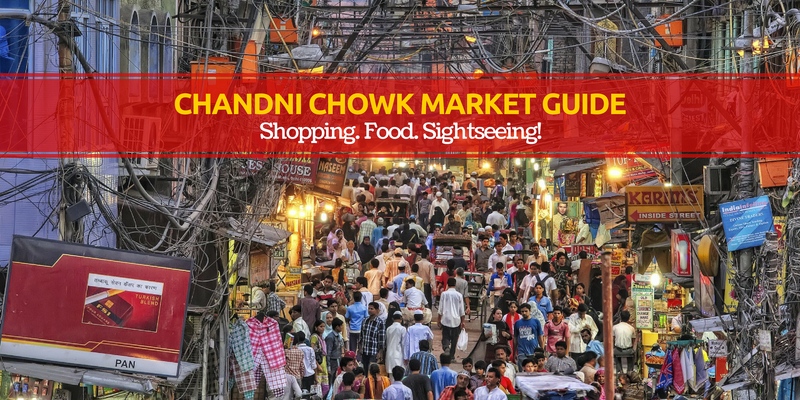 It is one of the most visited places from the past few years. 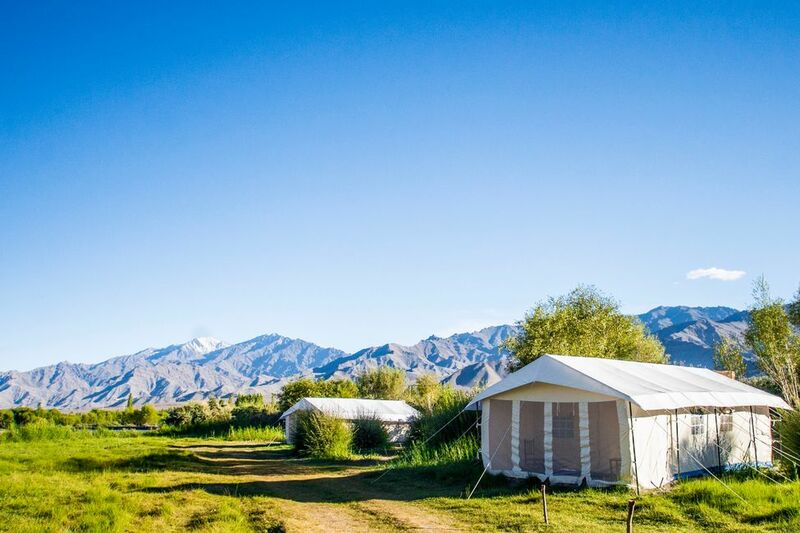 Camp right next to the hills and beautiful breathtaking views - Camping in Leh Ladakh is an unbelievable experience for all the adventure enthusiasts. 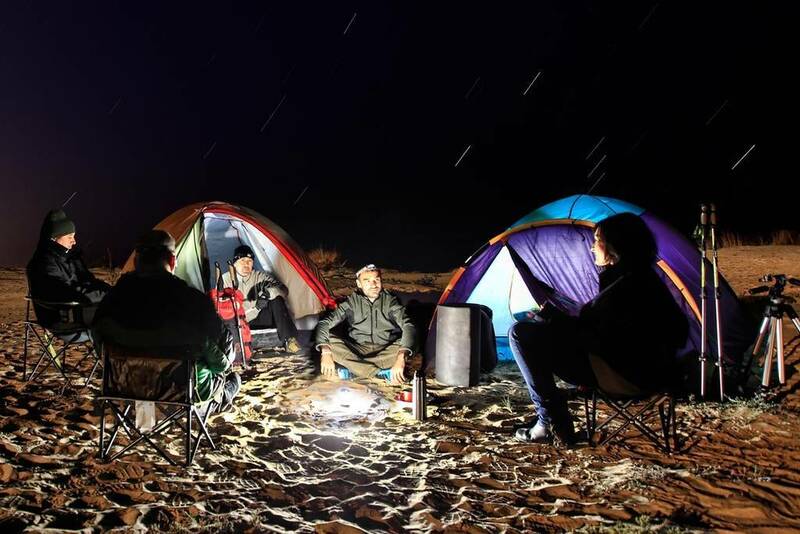 These 10 camping sites should definitely be on your checklist - Adventure junkies it's time to gather all your friends together for a crazy camping experience in Leh Ladakh. 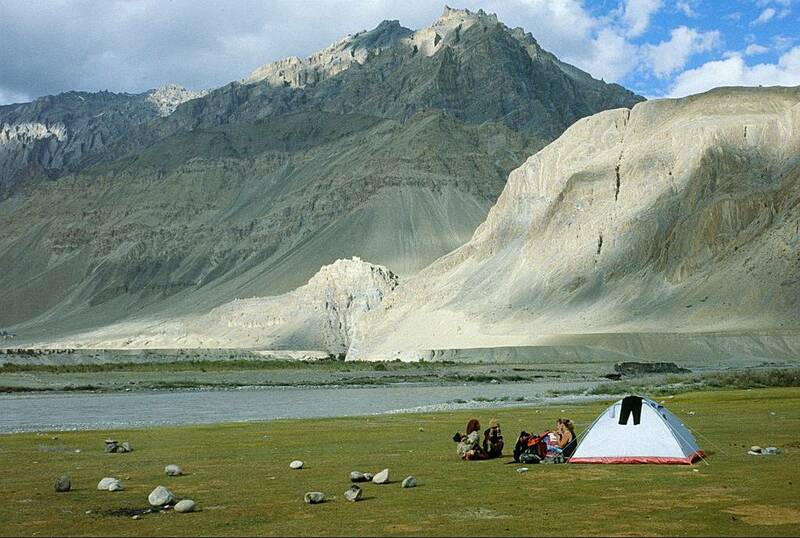 It's a mesmerizing place to camp at when in Ladakh. 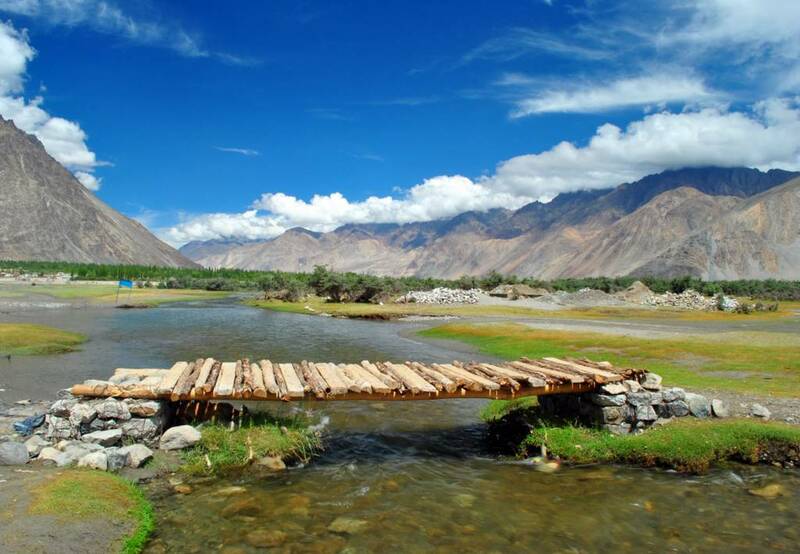 Nubra Valley is a tri-armed valley, which is situated 3048 meters above the sea level offering a heaven on earth for travelers. One should also participate in the prayer festival of the Nubra Valley, known as Dosmoche or Desroches festival. You can even enjoy camel rides around the scanty vegetation and area to explore it deeply. Don't forget to explore the headquarters of Nubra Valley - Diskit Town which offers all kinds of facilities from shopping to tourist attractions. Don't forget to explore Buddhist Monastery in Diskit, Khardunga La Pass - Pass between Leh to Diskit, Cafe in Turtuk - nearby area, Buddhist Statue In Diskit. You'll find the best campsites near the Desert Himalaya Resort. At Pangong Tso, you will be greeted by a few signboards saying, “Stop here to see rare endemic species Marmot”. 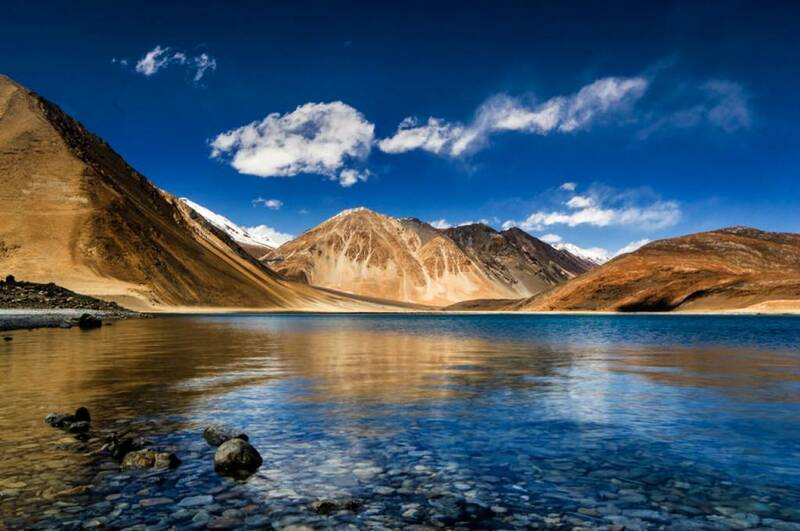 Pangong Tso, located at a height of almost 4,350m has the world's highest saltwater lake which seems to be dyed in blue, stand in stark contrast to the arid mountains surrounding it. This place is like a sheet of vivid blue that is wrapped by the mountains making it the most beautiful place to visit near Leh-Ladakh. It's definitely one of the best camping sites in Ladakh as it also offers spots for self-camping. Nothing can beat the beauty of camping right alongside the most mesmerizing Pangong Tso Lake. You can choose from Pangong Retreat Camp, Camp Redstart & Camp Martsemik La. 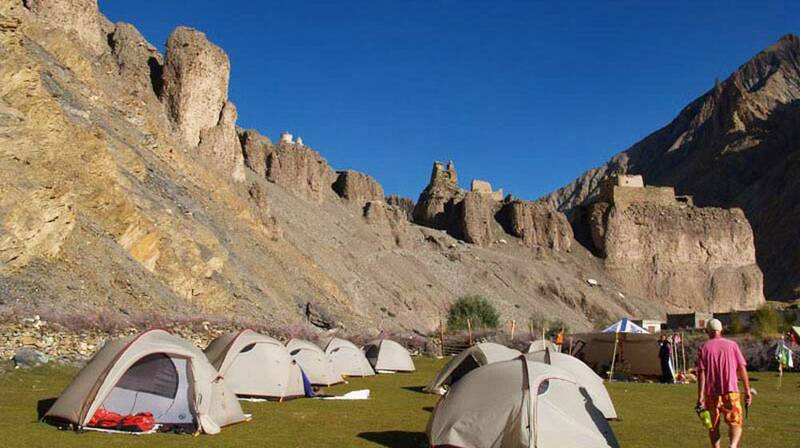 It's one of the most breathtaking places for camping in Leh Ladak. These campsites are well-facilitied with self camping spots as well. Do learn about the wildlife around to take the right set of precautions. The area around is great for bird watching and natural sights to admire. 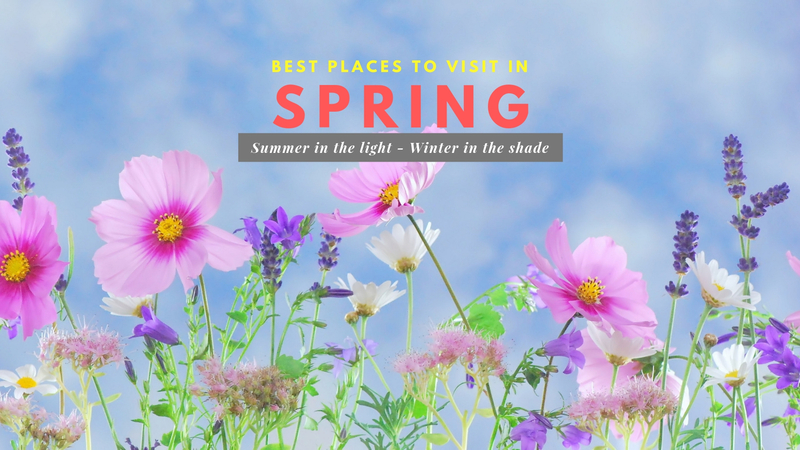 You'll be able to explore over 20 species of birds here and if you would like to explore more then visit this little town nearby which will help you understand the life of localities. The camps at Tso Moriri are also adorned with Himalayan paintings which is again a major highlight of this area. You can choose from Nomadic Life Camp, Tsomoriri Camps, and Resorts, Golden Mark Camps, Norling Camp & Yak Camp Tsomoriri for the best camping experience at Tso Moriri. If you want some peace and time out from the city hustle then this is the perfect place for you. It's basically a campsite at the banks of river Indus. Easy accommodation is available which is either a tent or cottages. 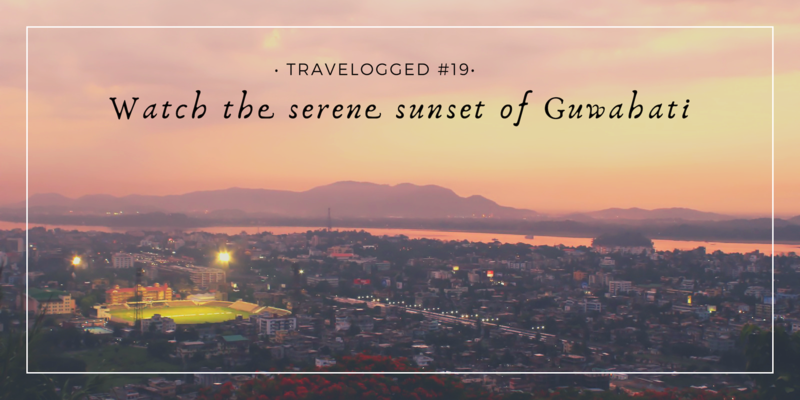 Mesmerizing views and the sound of the Indus River flowing across the bank will definitely create an amazing aura for you to die for. This area is not so popular but an amazing offbeat place near Leh Ladakh that seems to be a perfect fit for unexplored places in Leh Ladakh. Especially, the people who want a relaxing and peaceful holiday - Uleytokpo seems ideal. 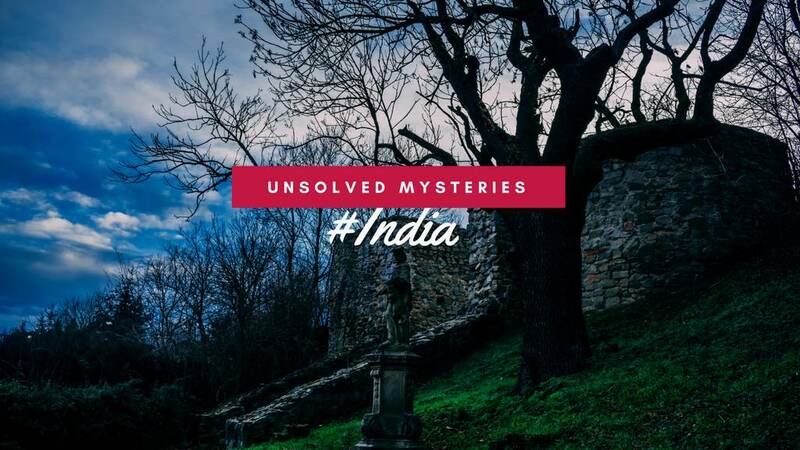 It's the central hub in the city, which is an enchanting village situated at the altitude of 10,000ft. 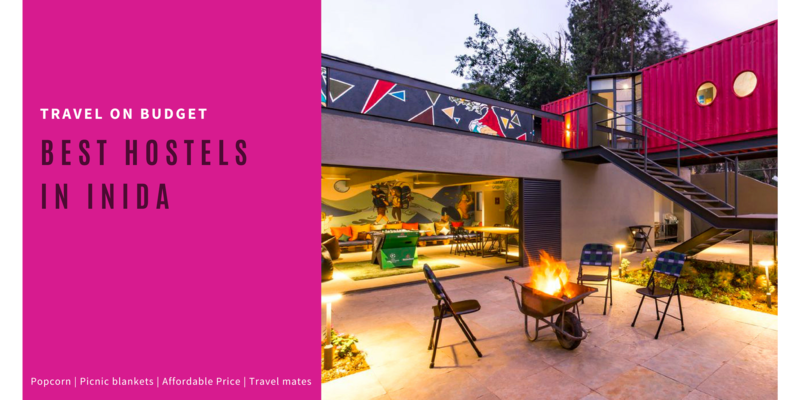 You can stay in Uley Eco Resort, West Ladakh Camp or Faryoke Camps too. You can also pay a spiritual tribute at these Gompas - Alchi Monastery, Likir Monastery, and Alchi Choskor Monastery. Rangum is a perfect spot near Zanskar Valley to camp - there are many dhabas near Rangdum as well which makes to easier to camp in Zanskar Valley. 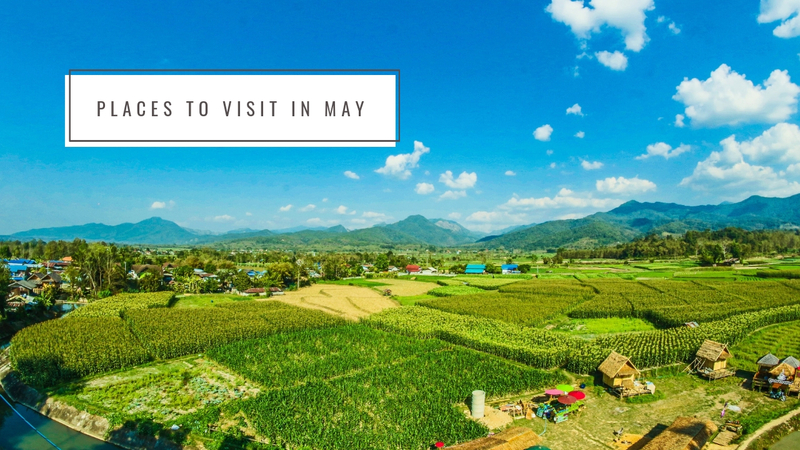 It is surrounded by magnificient rocky mountains - this beautiful place has budget friendly camping options especially for those who love star gazing. You can always carry your own camp as well which most of the travelers do and can easily talk to the localities to get soem food while you camp nearby. Enjoy the streams and lush meadows if you're planning to camp during the season time - June to September. Some of the best camping sites in Markha Valley are Thachungste, Ganda La and Skiu. Thachungste is placed right next to a beautiful river with tiny rabbits around. Whereas Ganda La connects Markha Valley to Leh. It's wide and open terrains make this an ideal camping site. 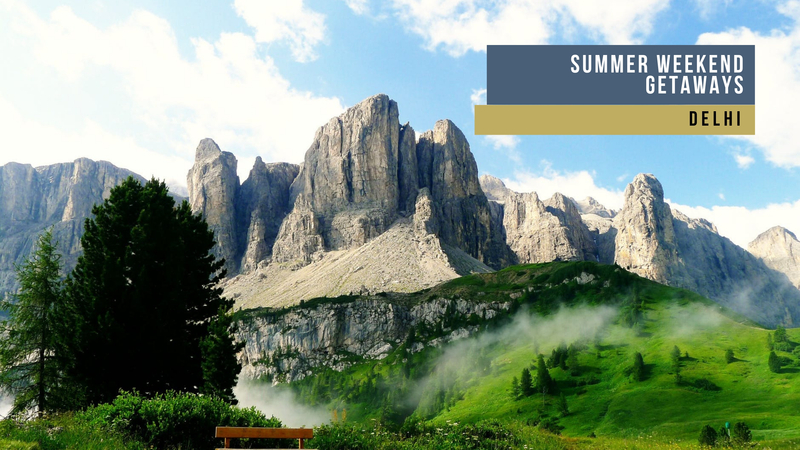 Skiu is another best destination when camping in Markha Valley - it is located at the congregation of Shgri Nala and The Markha river offering picturesque colorful rocky terrains as a breathtaking sight. 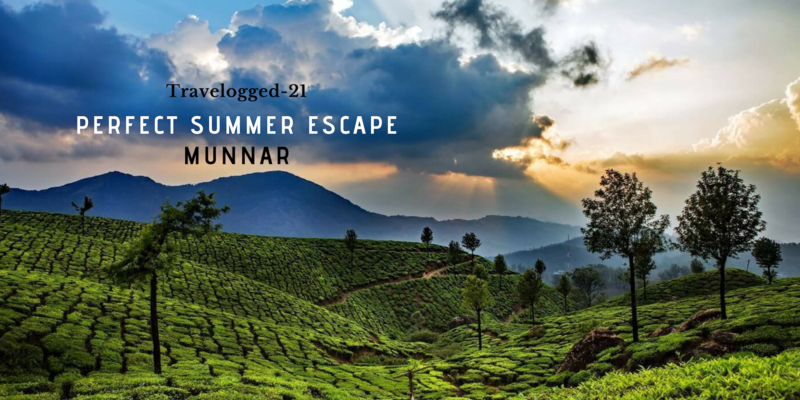 Need an escape from the monotonous life? Then Indus valley can be the best camping site to be. Home to the Indus Valley civilization which is the oldest known civilization to mankind, this place is a 25 min drive from Leh. You can trek during the day and spend a night in the numerous campsites located near the river Indus for a luxurious and thrilling experience. 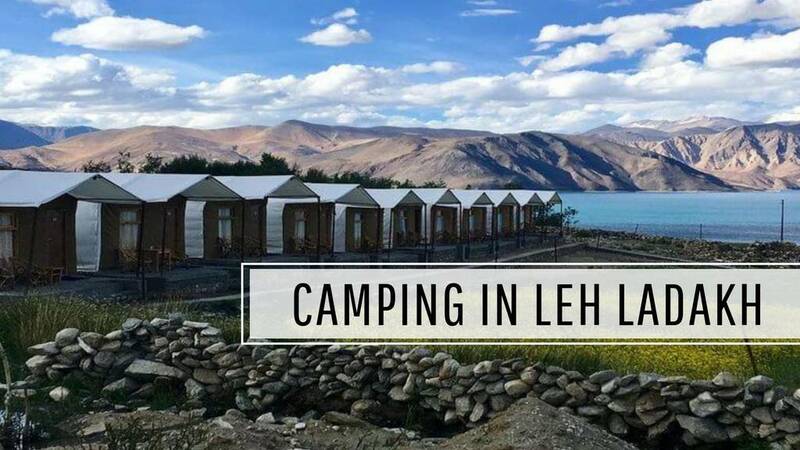 It's one of the most beautiful campsites in Leh Ladakh offering spectacular natural vista, steep valleys and natural gallery of Neolithic relics. 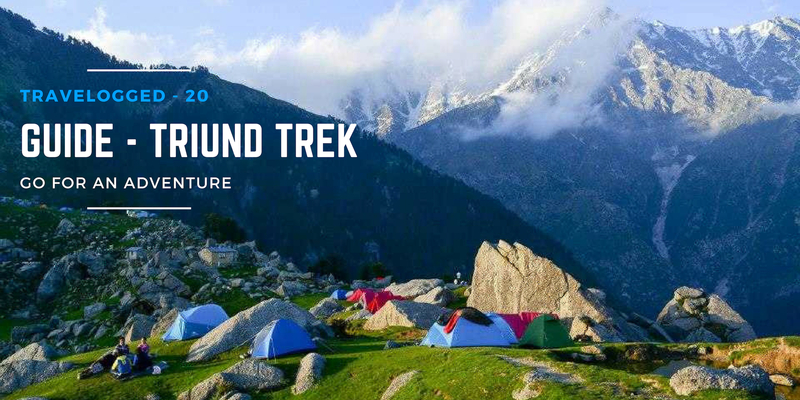 If camping doesn't settle down your adrenaline rush then do opt for a trekking experience. 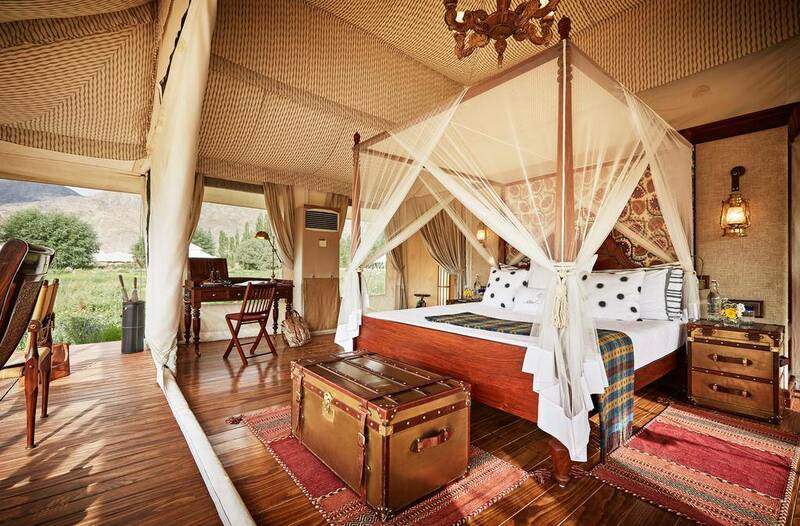 To have an unbelievable luxurious camping experience then our recommendation is to camp at The Chamba Camp Thiksey. Indulge in fun activites like cycling, rafting, bird watching and a lot more. Make sure you book your spots in advance as they get reserved pretty quick. Watch a game of Polo - a sport of the royal family of Ladakh & also enjoy picnic time with your loved with at picturesque spots near the camp. Imagine staying in heated tents with persian rugs, jasmine scented toileteries, mini bars, beautiful chandeliers and 24/7 butler service. This is just a gist of what they have to offer you. Make your reservations now! 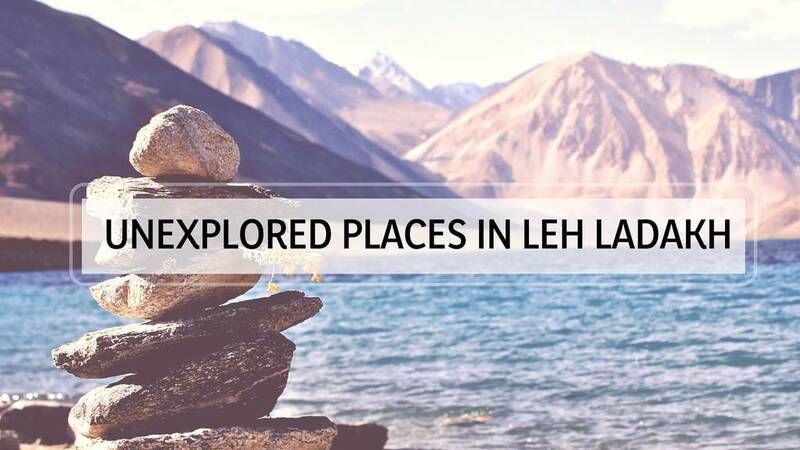 This hidden gem of Leh Ladakh is also known as "White Lake" - It's one of the three high altitude salt water lakes which also provide a perfect area for camping. It's also popular for bird watching because of it's rich flora and fauna. 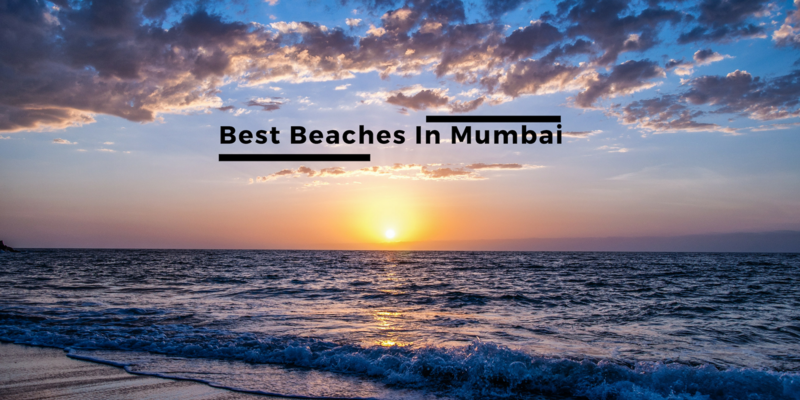 Find Brahmni ducks, bar-headed geese, crested grebe while exploring the wildlife of this beautiful destinations. You'll also spot mammals here which includes Kiangs who are the largest of the wild asses. 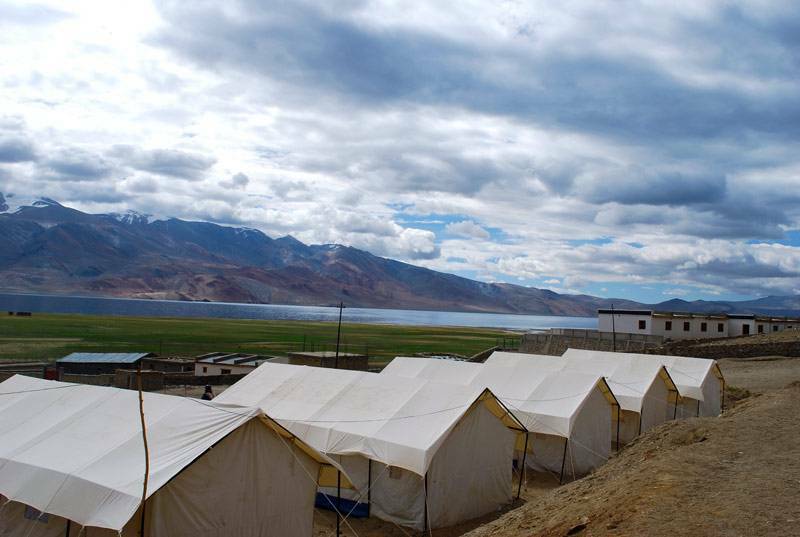 The two best sites for camping in Tso Kar Lake are Lotus Camp & The Pasture Land Camp. The Lotus Camp has atleast 10 Deluxe Swiss Camps and also a big dinning hall which can cater to upto 40 people. Whereas The Pasture Land Camp is in the environs of Tsokar Lake offering essential facilities to its guest. Ready to venture out where the wild things are? 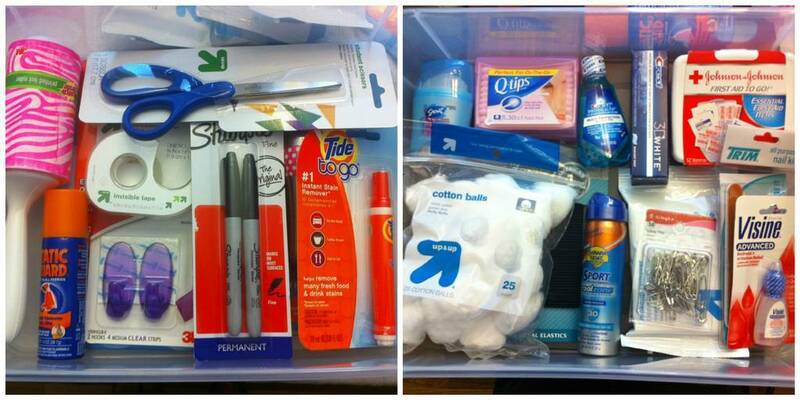 Make sure you are geared up with these 6 camping essentials! 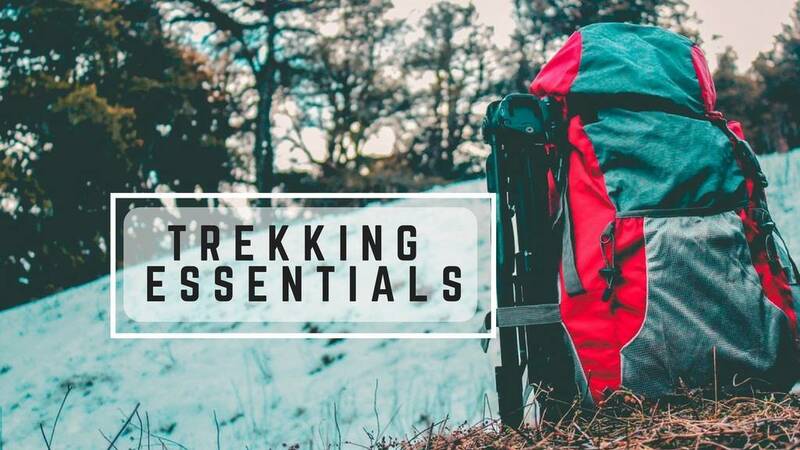 This extensive guide would help you the next time you go to stock up for an adventure trip. You need to be very selective while preparing a checklist for your essential travel gears, especially in case of camping. 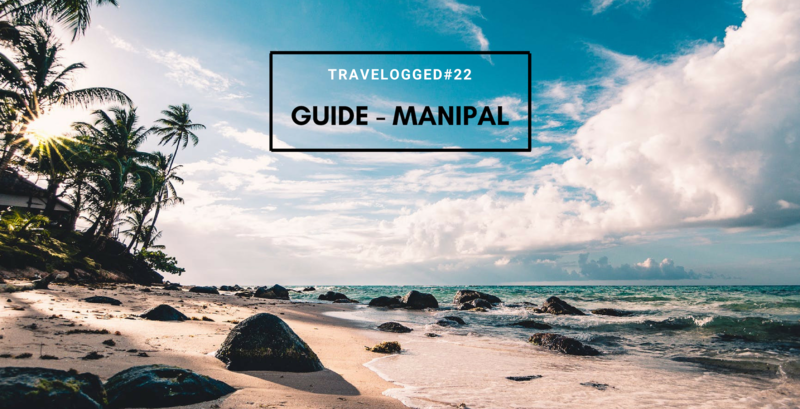 When selecting tools for the trip, bear in mind that you'll be out for certain days and chances are there that you may have to be subjected to extreme weather and health conditions, so bring only those things you are comfortable with and much crucial to you. Unnessaasry stuff just adds weight. Your tent and sleeping gear goes without saying, but what else will you need to be safe and comfortable? 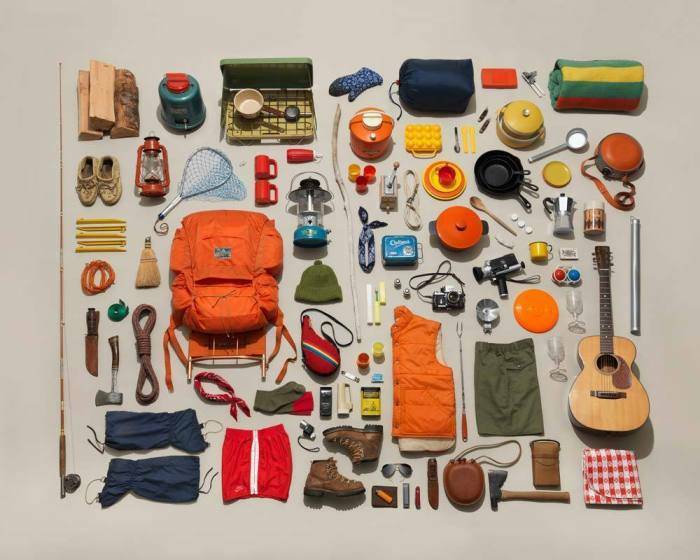 This extensive guide would help you the next time you go to stock up for an adventure trip. 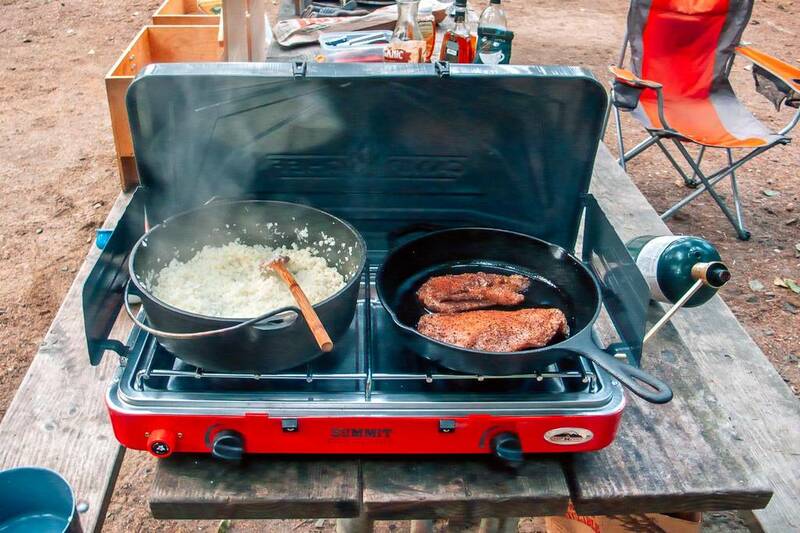 You can always cook over the fire, but it's a lot easier to cook when you have a Camp Stove. It's is not always convenient to dig a fire pit, gather kindling and struggle to lit a fire, not too mention that this kind of cooking takes skill, what with the uneven temperatures and flare-ups of a wood fire. A simple, lightweight stove can make your adventure easier and successful when cooking at a primitive campsite. Map and compass are preliminaries for each adventurer. And in this era of technological advancement, adding GPS receiver and wrist altimeter to the kit most effective improves your adventure making it smoother and exciting. While the topographic maps guide you with frequently-visited nature trails or impossible-to-miss paths of that region, a GPS receiver facilitates you identify the precise location where you are situated and additionally comes to your resource while exploring completely new areas. A compass is likewise quite essential for you even in case your equipment comprises high-tech devices. It is quite handy and becomes your SOS when you might be least expecting it. 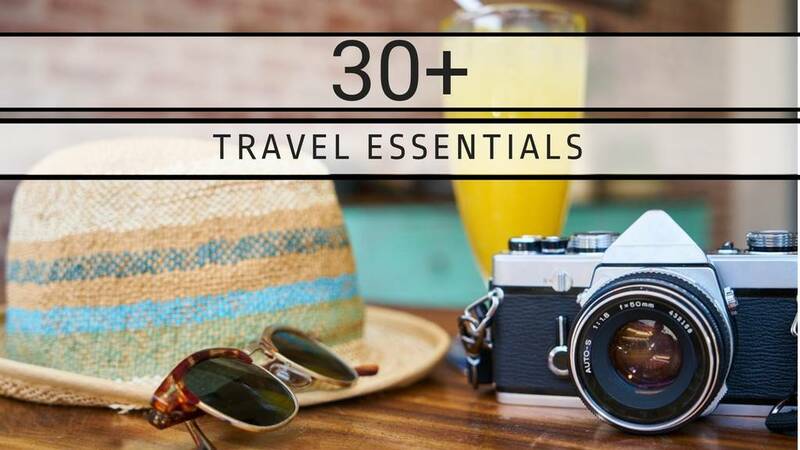 An ideal sunblock, shades and sun-protective apparel surely need to find their way on your duffel without fail. You need to always go for the sunblock prescribed by a health professional. Preferably your sunblock must have SPF ranging between 15 and 30 that protects your skin against both UVA and UVB rays. Sunglasses too should be effective enough to block the UVB rays from damaging your eyes, in case you hit the snowy regions bear in mind to own an extra-dark glacier glasses. Sun-protective apparel is even more crucial to prevent your skin from being exposed to UV rays. Ensure the apparel comes with an ultraviolet protection factor. Bring everything from headlamps, flashlights, to portable lanterns, also keep safe additional candles and matchsticks with you. Headlamps are pretty wonderful to possess as they require no efforts to carry around, once fixed around your head, they stay that way. They are lightweight and also have a longer battery life. Apart from illuminating your pathway, they can also be used for signaling, in case you lose track. never forget to keep spare batteries. You never know if it is going to rain while you are camping. So it is better to be prepared in advance. Luckily, lightweight rain ponchos fold up into almost nothing and can be thrown in easily with your other camping supplies. You can never choose to be informal about your first-aid kit and must carry the following: antiseptic solutions, adhesive bandages, gauze pads, painkillers, adhesive tape, and other medications, essential ointments, enough cotton, and even a pair of nitrile gloves. Additionally, it is beneficial to keep an appropriate medical manual for dealing with emergencies. First-aid kit comes to the rescue not only for you but any member of your group. Basic knowledge about handling common medical troubles is also essential. Any camper and adventure enthusiast always like to keep their baggage light with just the most essential gears to carry. The aforementioned items are light and extremely important for your trip. Do not forget to check out the stuff and pack accordingly. Happy camping! 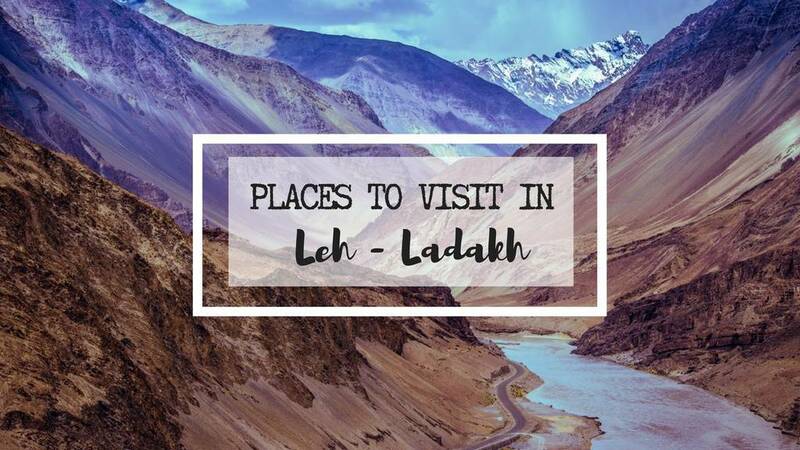 Some of the restricted camping sites in Leh Ladakh are Leh-Khardung La Khalsar up to Hunger & Panasik, Khaltse-Dunkhar-Sroduchan Hanudo-Biana-Dha, & Pangong Lake up to Spanksik. Q. What should you know before going camping? 6. entertainment/hobby/artistic equipment to remember the trip by. Q. 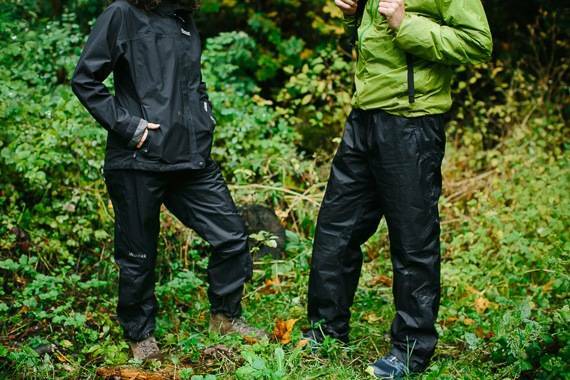 What is trending now in new camping gear? Pocket chainsaw (for gathering wood). Portable Survival Water Filter to drink clean water. A lightweight portable hammock built for two. With these items, you’ll have a wonderful camping time!